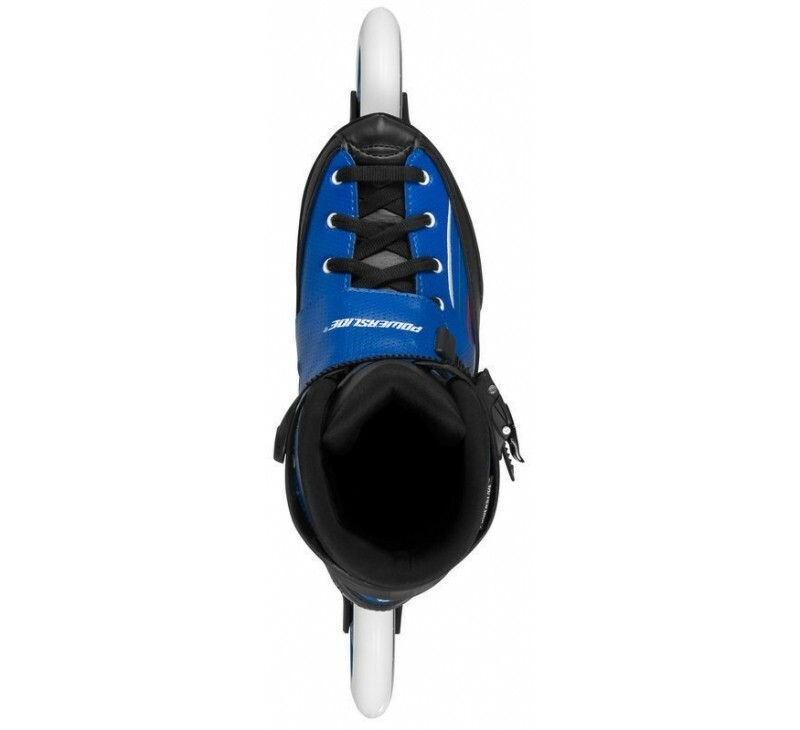 Powerslide Marathon power skates - it is one of the best skates in the field of Powerskating. 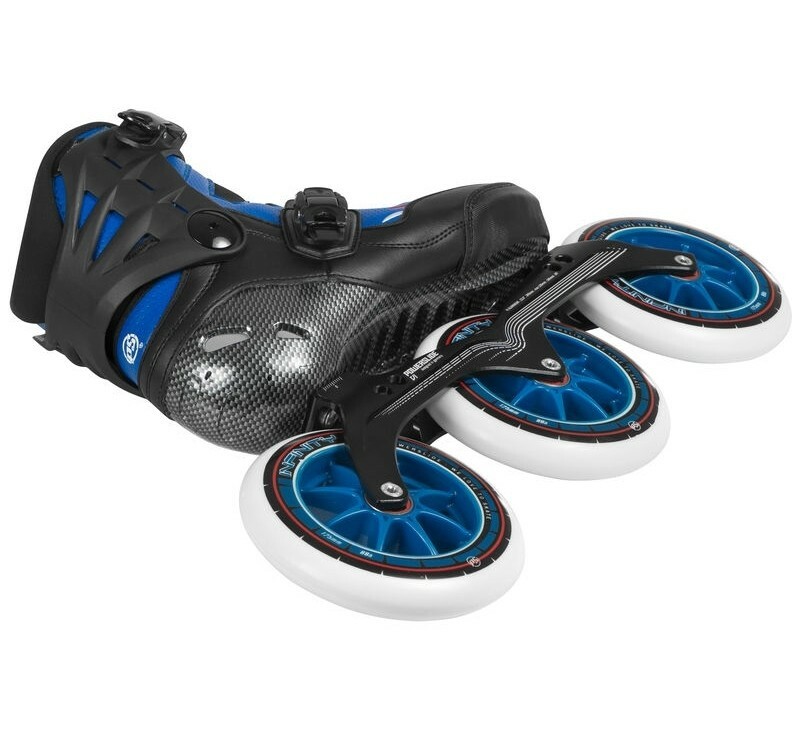 3x 125mm wheels, 195mm mounting distance, Abec 9 ball bearing. 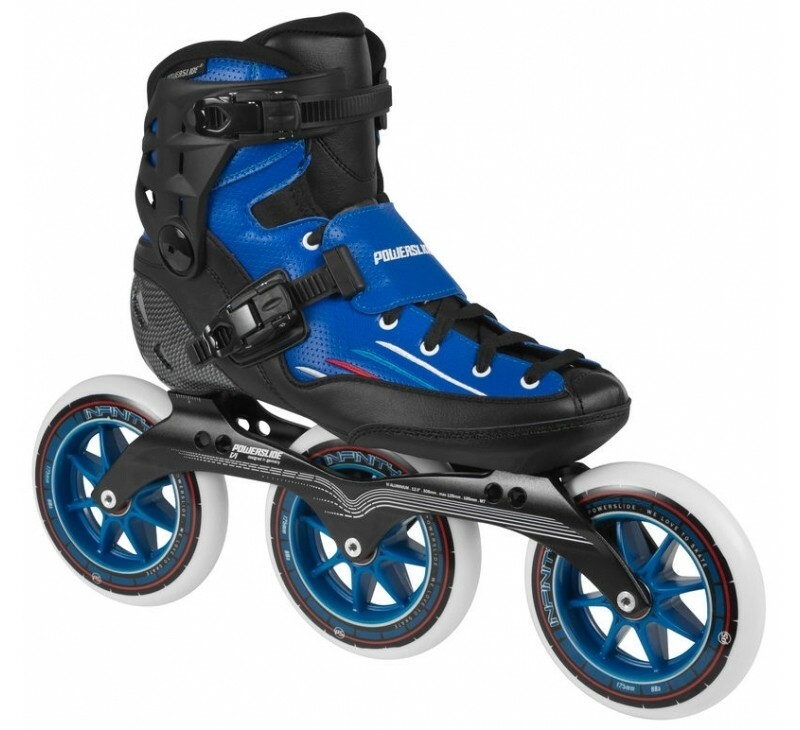 The novelty on the market is the Powerslide Marathon Skate in black-blue with a Powerslide Vi aluminum frame with 3x 125mm wheels. Featuring a boot made of PU nano leather upper, 3D anatomic padding, neoprene microfiber lining, composite cuff, ICON buckle and X-slot mounting system. Also the frame from the Powerslide Marathon Power skate is very good! It is an 11.8 "inch Vi ALU frame with 195mm mounting distance. Of course as usual with pitch and stride control option. 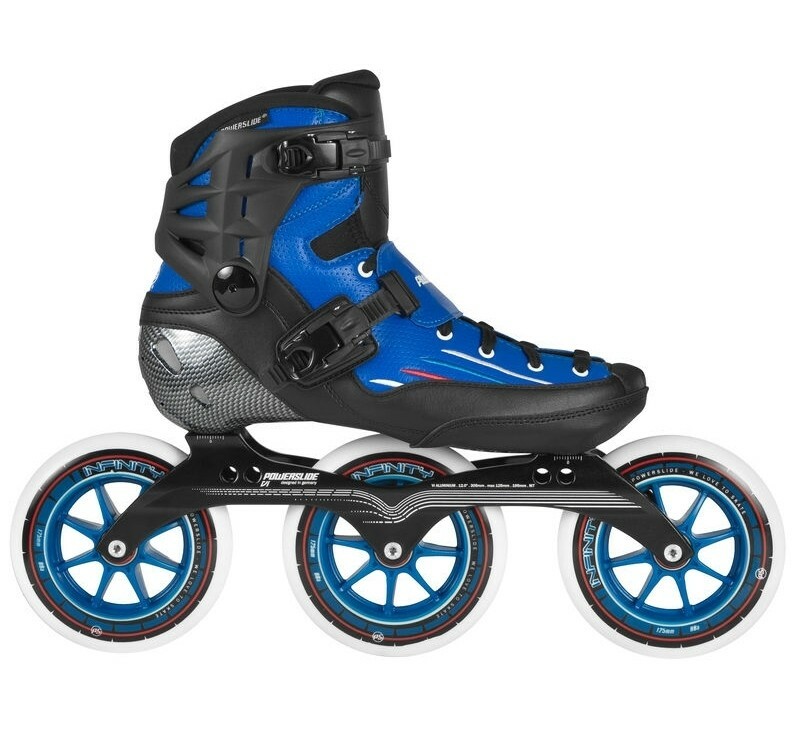 There were placed Powerslide DD Infinity 125mm wheels on the skates with Abec 9 ball bearings.